St Ives, Cambridgeshire c1973. Closed to passenger traffic on 5th October 1970, the line at one time extended to March. 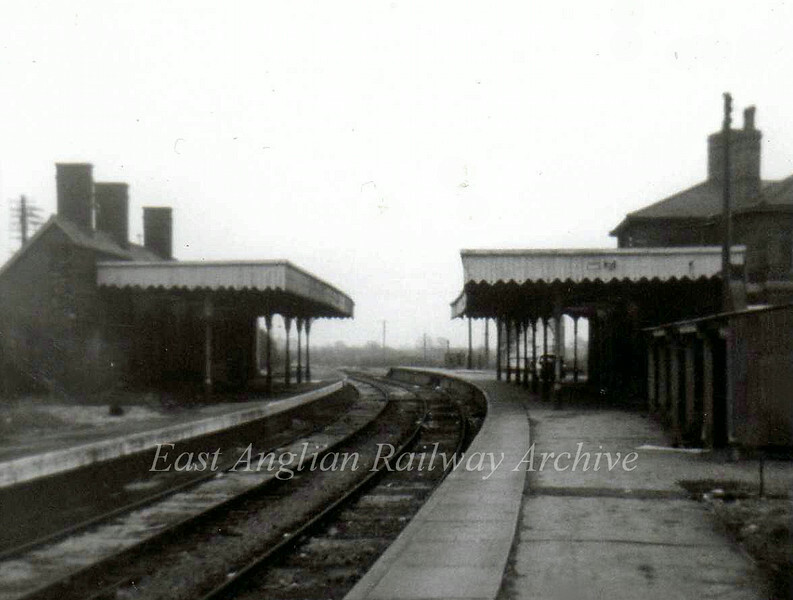 St Ives was also a junction station for the service to Huntingdon East and Kettering. In the picture this line diverged to the right behind the station house.